My music reading curriculum helps student achieve quick and early success by focusing on one note at a time - instead of expecting you to play entire songs right away. This builds confidence and sets up my students for long-term success. * Proficient in Jazz, Top 40, Soul, Rock, and Pop. Taught K - 5 music classes, specializing in keyboard group lessons, music technology, improvisation and ensemble performance. 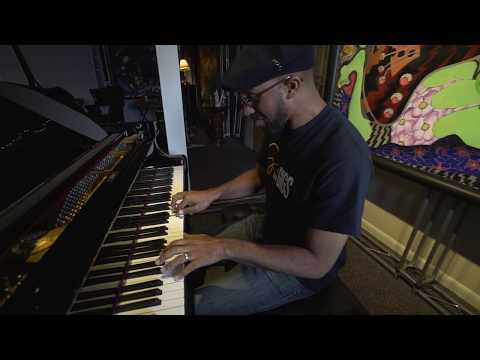 A sample of my original composition "Sergio's Serenade", performed at George Tandy, Jr.'s studio in South Florida. An interview I did a few years ago about teaching improvisation to kids. Jazz and creativity come naturally to them! Here's a sample of a performance at a local piano bar - I really enjoy performing as well as teaching! Learned a lot in the first lesson. In my opinion, Allen is a great piano teacher for beginners and intermediate students. Having played in churches for more than 40 years, I yearn for a more challenging piano pedagogy, i.e. Hanon # 31- 60 and Jazz theory. Nonetheless, I strongly recommend Allen IF you have children or adults who are just learning the instrument. They will benefit from his congenial personality and laid back approach. Allen was both knowledgeable and thorough, which I would expect from a teacher with a college degree in Music. Instead of taking up golf or tennis, I look forward to studying both piano and music theory with him. In fact, I requested that he would at least consider giving 45 minute lessons...smile. I have a 9-year-old who loves the piano. I've tried a couple other teachers but no one compares to Allen when it comes to teaching my child. Allen was prompt on arrival, patient, and very professional. He understood my concerns and seemed genuinely interested in helping my child to reach the next goal. He was very knowledgeable with his piano skills and appeared to be dedicated to the profession. I'm just thrilled and I would highly recommend him! My children ages 6 and 8 had their first lessons with Allen this evening, and they both loved him, and loved the new things they have learned. They are both excited about practicing, and looking forward to their next lesson. I am also now motivated to make time to play, as life as a working parent has kept me from being able to practice. Allen is so incredibly talented and my kids responded really well with his teaching methods. They are genuinely excited and interested in learning more, and I am so thankful! If you are looking for an exceptional Piano teacher, look no further then Allen. From the moment I enrolled he has been nothing but professional. He came to our home and spent his undivided attention on my daughter. She was thrilled with her first lesson and is looking forward to working with Allen. I am beyond pleased with Allen and would recommend him to anyone and any age. Allen was patient and very knowledgable. My daughter has had several piano teachers over the years. And none have shown the dedication as Allen does. His method works. We see gradual improvements. I am a musician as well and can appreciate that she is learning technique as well as how to read complet musical notation. I would recommend Allen as he is patient, trustworthy and very talented. Great first day back to the basics and then off to tread the deep waters of theory. Allen was able to to explain the theory in a simple to understand format followed up with application. It's been a real pleasure!!!!!!!! Can't wait to get back!!!!!!!! Merry Christmas!!!!!!!!!! !